Spring is coming. March 4 marked the end of the 2019 winter athletic sports season and the beginning of the spring season. Six sports teams met at The Gathering to reflect on their seasons and celebrate team success. The teams that met consisted of wrestling, competition cheerleading, boys swimming, girls basketball, boys basketball and hockey. At the banquet, athletes were awarded their varsity letters and some were recognized individually. Sophomore Rachel Reed, an athlete on the girl’s basketball team received her fifth varsity letter at the banquet this year. Reed is a three-sport athlete and plays varsity for volleyball, basketball and track. 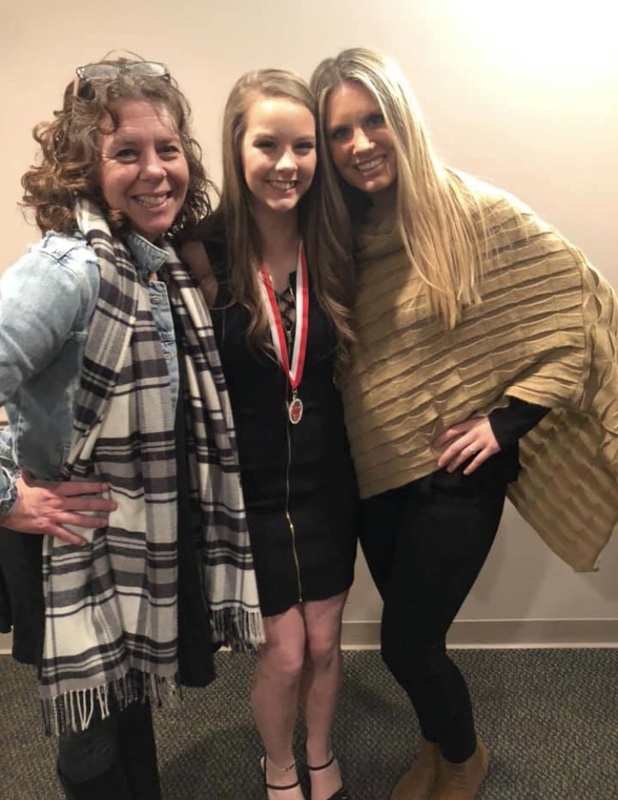 Senior Emily Watters is a member of the cheer team and was awarded the team’s most valuable player award, as well as an award for being chosen as a member of the all-state cheerleading team. There are over 60 submissions from cheerleaders all over the state and only 25 athletes were chosen as members of the all-state team. To be selected as a member of the all-state team is an accomplishment that many cheerleaders dream about. Some athletes work their entire high school careers to obtain the skills needed to even be a finalist. For many, being selected would be the highlight of their careers. Senior Tori DePerry is an athlete on the girl’s varsity basketball team. She was awarded the team’s most valuable player award as well as the honor of being named Bay Conference Co-player of the Year. “It felt amazing to obtain my goal of being player of the year in conference. All of my work put into basketball paid off in the end,” said DePerry. Being seniors, these athletes will leave behind four years of memories on each of their respective teams. 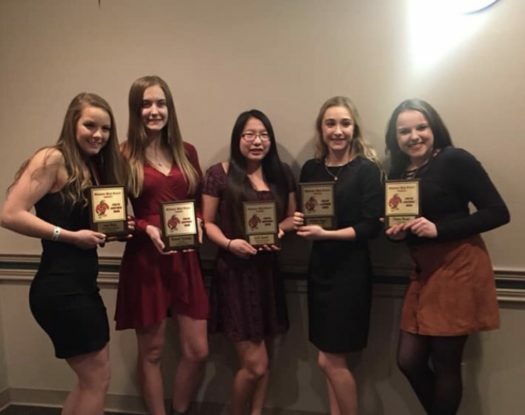 With everything that they achieve in life, as an athlete or not, they will remember the lessons that they learned during their time as Shawano athletes. “I’m going to miss being a part of a team, and having another family other than my blood. Just knowing that I have people to go to no matter what,” explained Watters.